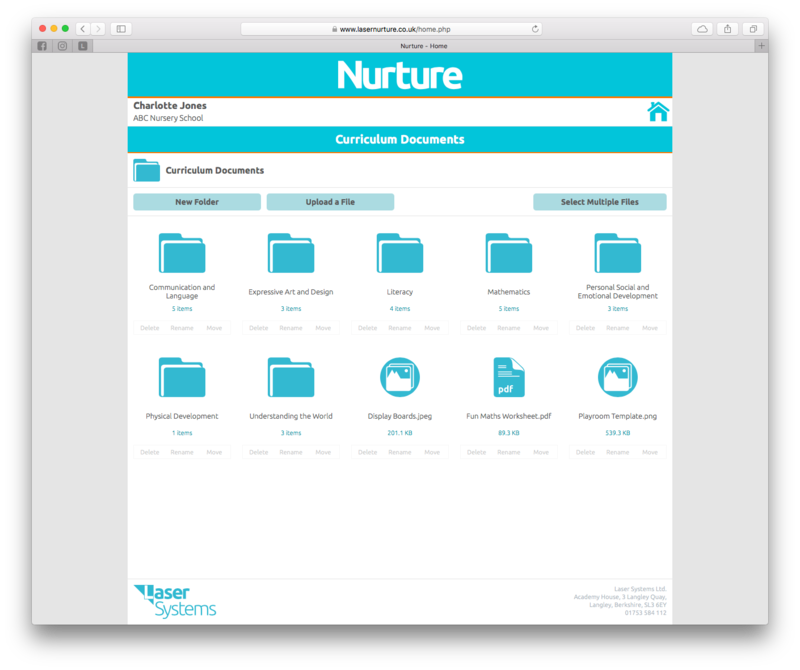 Simplify and streamline your most important childcare administration tasks. Nurture is a set of tools designed to help make your life running a nursery or childcare setting more simple. It was designed alongside childcare professionals with decades of experience in the industry. 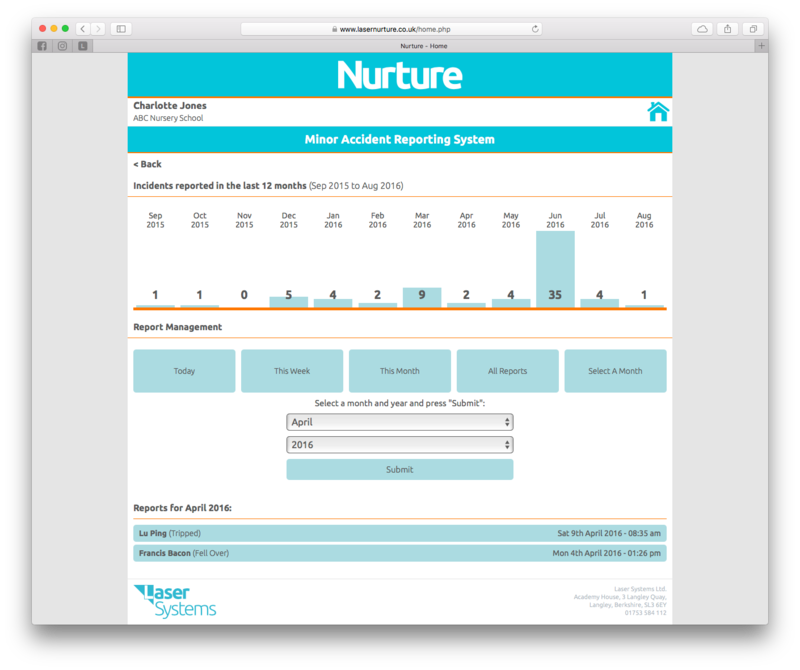 Nurture will save you time and money, and impress staff, parents, and other agencies with a high tech and efficient approach. 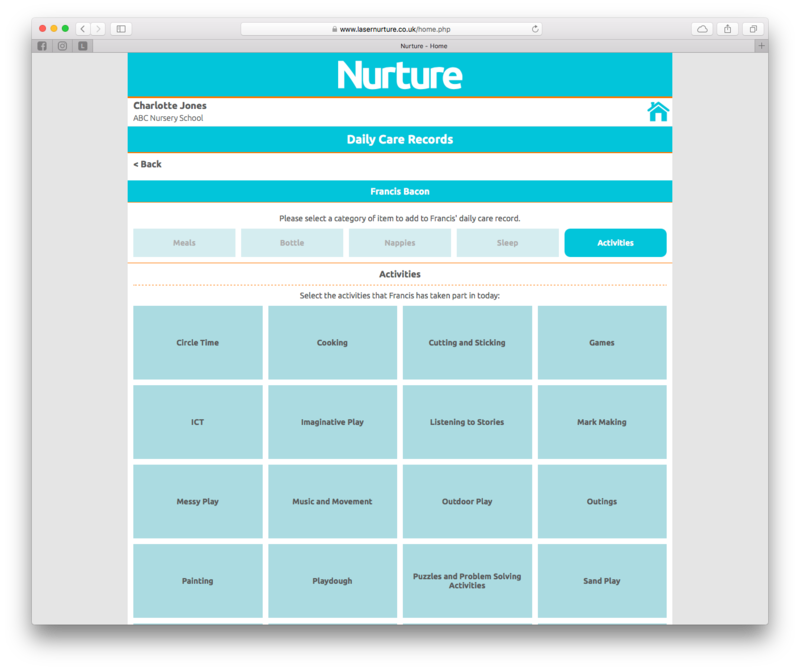 This enables you to easily record information about a child's day and the activities they have taken part in, sending them by email to parents at the click of a button. No longer will you need to use a paper form to record a child's accident. 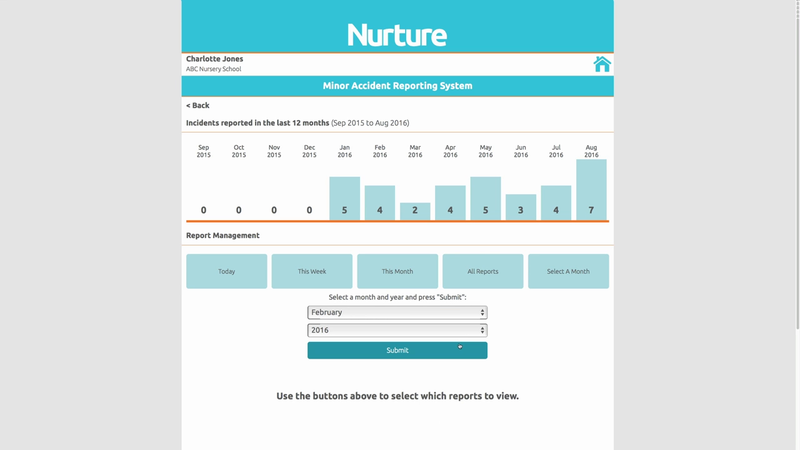 Now you can enter the details into your Nurture quickly and simply, enabling you to send details to parents, produce records for inspectors and analyse trends helping you make your nursery or childcare setting safer. Curriculum Documents and Policies & Procedures can be stored for easy access by all staff. The days of heavy files full of paper documents gathering dust on nursery shelves are over! Nurture is designed to be delightfully easy to use, with every care taken to make sure the controls that you need to organise your information are where you would expect them to be. However, if you do need assistance, our friendly team can be reached instantly on the phone. There is no large up front payment, just a monthly subscription of £23. A minimum subscription term of one year applies, after which we are confident that you will wonder how you ever managed without Nurture. Click on the button below to get started and sign up today! Laser Systems are a leading provider of business admin and e-learning software in a variety of sectors, with clients across the globe. Our award-winning training platforms have been providing both full qualifications and CPD certifications to thousands of learners since 2008. We have brought all of this experience and expertise to provide the best system possible. If you would like to speak to a member of our team about Nurture please contact us and we would be more than happy to arrange this with you. Every care has been taken to ensure that Nurture is compatible with as many platforms and browsers as possible, so you have freedom to choose the device you use.